Relaxed is a small company, there are just the two of us and we keep our client list at a level that allows us to give quality time and expertise to each website we manage. We are 'real' people contactable by email, land line and mobile. We also run a smallholding and set up 'Our Farm In Your Classroom' specifically for our schools (who kept asking us all about the animals we keep and veg we grow). We are fully immersed in education and enjoy helping our clients to celebrate all that is great about their schools. The websites we provide are fully managed: we design, build and host them AND action all updates! NOTHING gets posted or published on your school website without being checked first: this includes photos, blogs, guest book messages and more... we are also very aware of child protection issues regarding the use of children's names, inappropriate photos etc. Our background is education: teaching, training and educational project management. We know what it takes to give you the best website possible: one that communicates effectively, is Ofsted compliant and truly celebrates all that is great about the teaching and learning you provide. Whether a photo needs removing (sent to us in error), a policy needs replacing for Ofsted, a job vacancy needs posting asap... we respond quickly and all clients are given our mobile numbers (just in case we happen to be mucking out the goats when you call...). 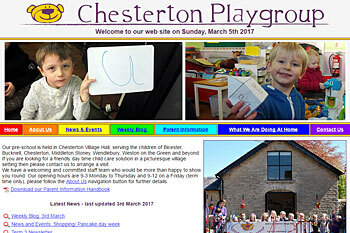 Our aim is to ensure your website shows how excellent your school is. We make sure your website is up to date at all times and we don't need reminding to remove out of date items - indeed, we often 'nag' you for content. We also email all our clients regularly with examples of good practice and new ideas. We love the work we do - we always do the best we can and are proud to help schools celebrate and promote all that they achieve. Updates can range from 6am 'school closed due to snow' messages to 10pm residential blogs 'everyone now asleep and very happy after great first day'. ...about anything!! We are good at what we do and you are good at what you do. Our aim is to make life as easy for you as possible - there is never a silly question and we won't leave you in the lurch or ignore emails/ phone calls. We always get things sorted!! We can do surveys, questionnaires, walls of talent, blogs, guest books, lunch menu booking systems, after school clubs booking systems, secure areas for governors, staff and lots more. Just ask and we will sort.